Posted on 19 December 2012 and filed under Miscellaneous. Do you make holiday presents and decorations yourself? Here is an idea: embroidered heart picture. 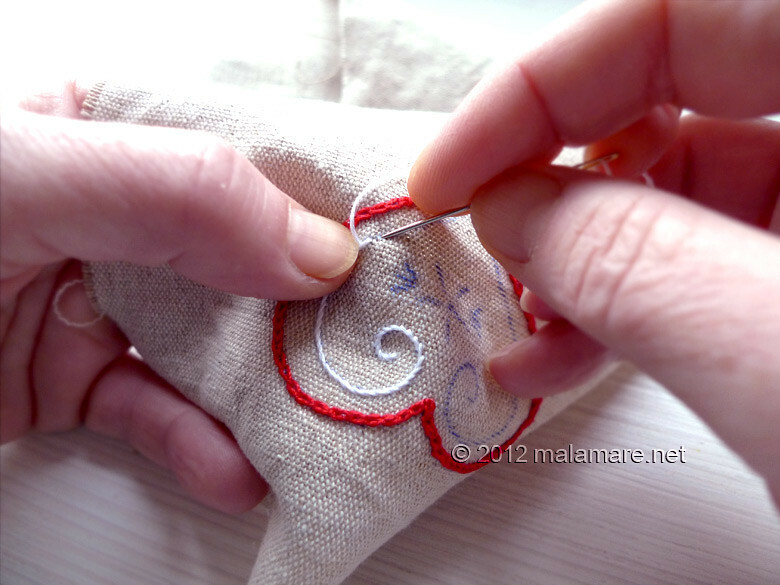 Heart hand embroidery tutorial and pattern – my gift to you, I hope you are going to enjoy it. My inspiration for this little piece is traditional Croatian thing: licitar. Licitar is a cake in the shape of the heart that you would give to someone as a sign of love and affection. They could be large, for example the size of two palms, or tiny, such as this one here – I use tiny ones as Christmas decorations. Usually licitar is red, with white, yellow and green decorations. 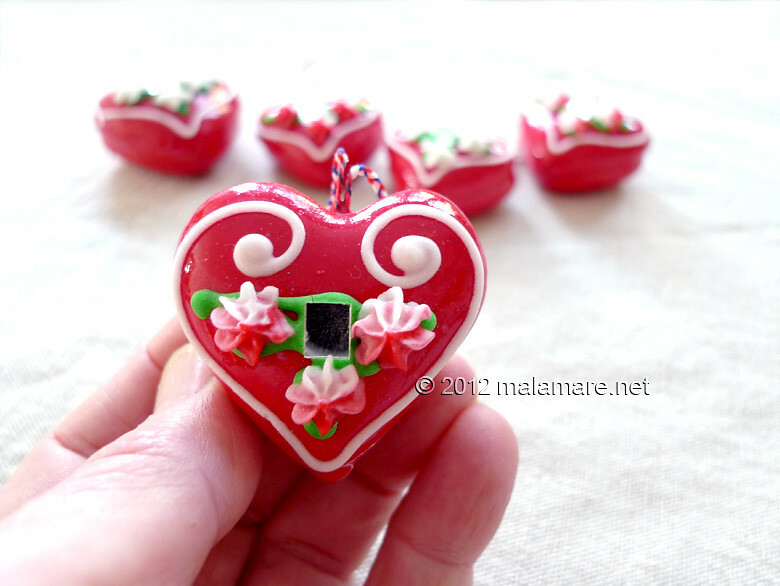 The heart can have a mirror in the centre, and larger versions sometimes have a piece of paper with verses about love written on them… Nice, kitschy, old fashioned, whatever – I love those hearts! So what will you need for this little project? A piece of fabric – I used linen canvas; embroidery thread in colours of your choice – holding on to tradition in this interpretation of licitar I used red, green, white and yellow, and embroidery needle and scissors, of course. If you are going to make a picture, than you will need small wooden frame as well. 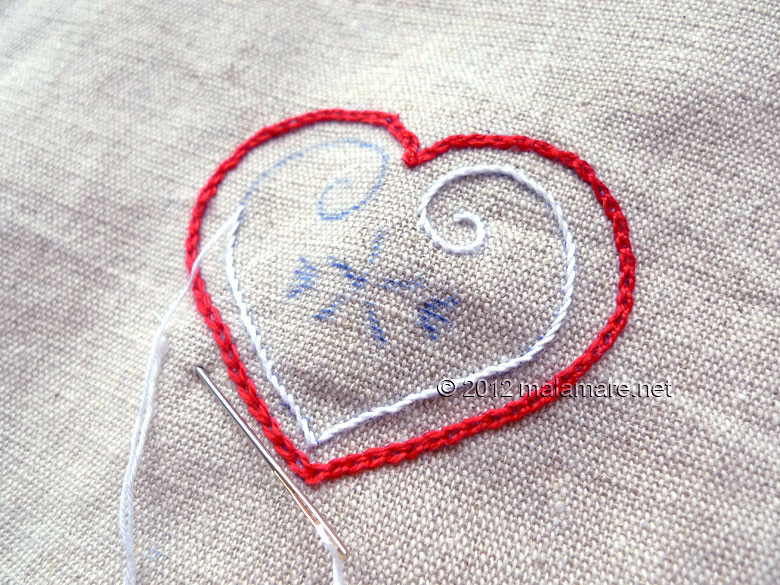 You will need a pattern too – it is here: Heart embroidery pattern. First thing to do is to print out the pattern and transfer it to the fabric. I prefer using good old carbon copy paper. In case any lines remain visible after the embroidery has been finished simply gently wash the fabric and they will disappear. 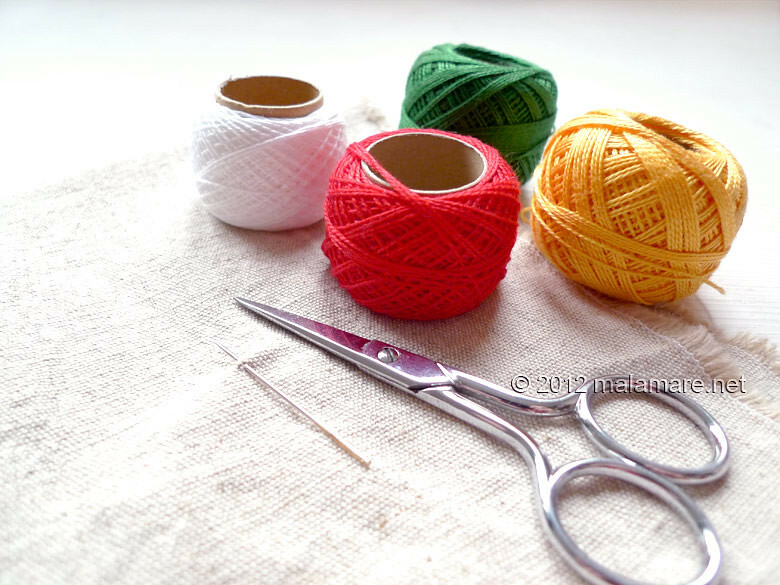 Next: get your embroidery needle and threads and enjoy stitching. 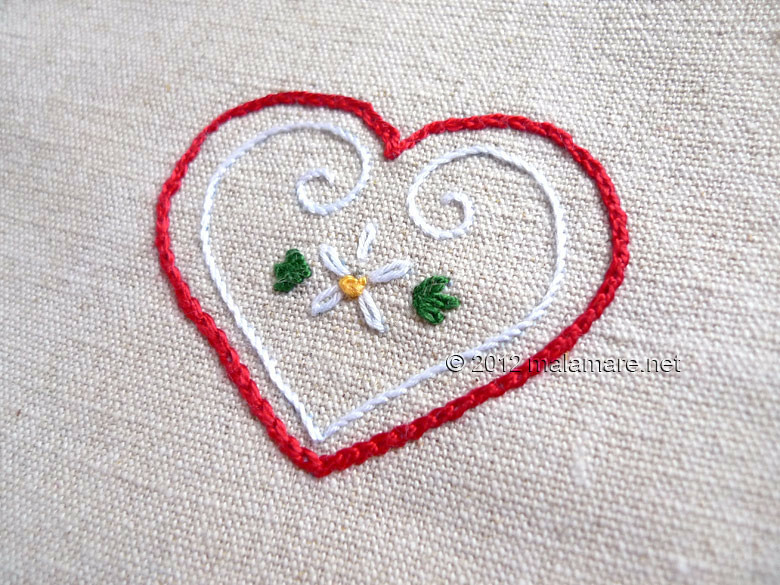 Once the heart embroidery has been finished, if you are going to frame it, I would recommend that you strengthen the fabric by fusing the interfacing onto the back of it. The final step: frame the heart and give it to someone you love, infused with all the love and nice thoughts you thought while making the heart.